This week’s workout is a special for Easter! It’s from Yolanda Cardona. Thanks Yolanda! To make Easter fun and guilt free before the candy strikes back I thought of this Easter Bootcamp drill. It is really easy and simple. I picked up a couple of dozens of plastic eggs. Depending on how many people are in your bootcamp you may need more. I filled them up with different exercises that were related to Bunnies and Easter. I also took a few of the eggs and put it as the wild egg which is actually a rest for one minute. Each exercise is performed for one minute. Place the eggs in an Easter basket around 20m away from your clients. You have your clients run to the Easter basket as fast as they can and grab 4-5 eggs. Use your timer to have them perform each exercise they collected for one minute. Afterwards, follow that with a minute rest. Repeat. You can have your clients do suicide drills with running, lunging forward, or so forth to get to the eggs. I am a personal trainer and Insanity instructor. I was once overweight and miserable till fitness became my passion as well as calling. Find me on Facebook, Coach Yolanda. 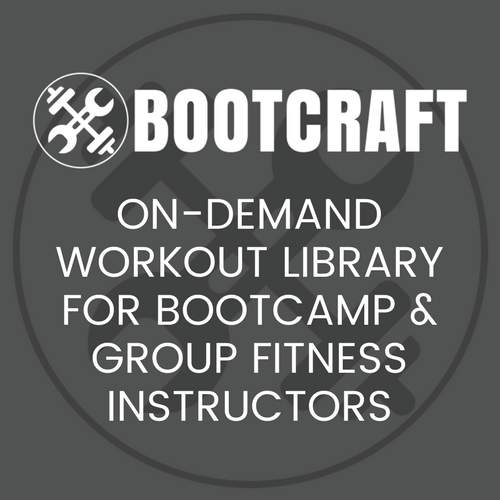 Join our community by submitting your very own workout or by jumping on ouremail list!